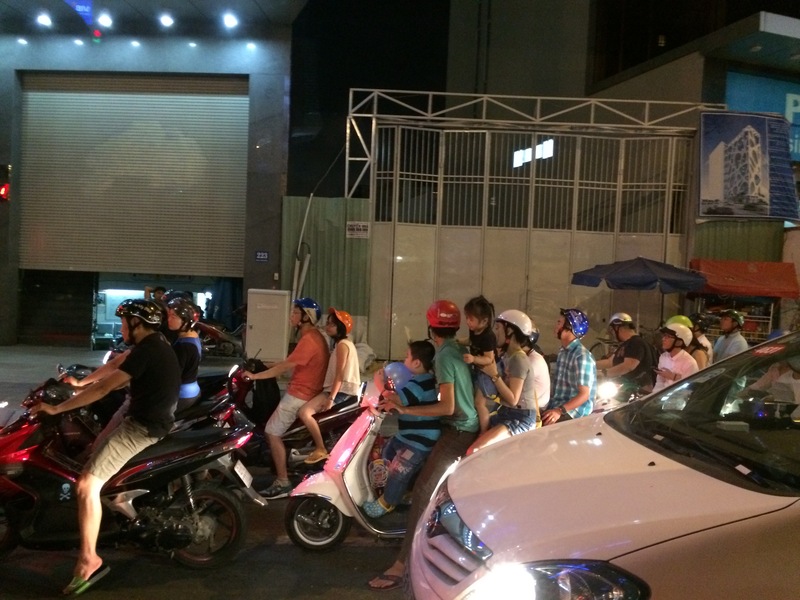 Scooter madness in Saigon. Note family of 4 in foreground — helmets only required for adults?!? !